We have a new kind of spinal cord regeneration. Stem cells are an amazing part of medical research. Because of their ability to become virtually any cell in the human body, they could hold the cure for many varied and grave diseases—from bones, to sight, to memory and thinking, stem cells could help us correct a host of conditions. 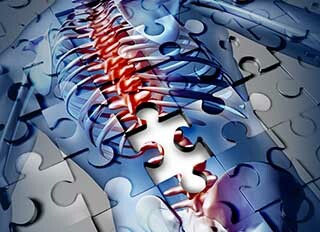 In fact, it seems that stem cells might be the key to repairing spinal cord injuries. In a study published in Nature Medicine, researchers report that they have successfully coaxed stem cell-derived neurons to regenerate lost tissue in damaged corticospinal tracts of rats, resulting in functional benefit. Corticospinal tracts are an important part of the nervous system, carrying signals from the brain to the spinal cord, and they are of vital importance for voluntary movement in humans. And they have never been regenerated, until now. “The new thing here was that we used neural stem cells for the first time to determine whether they, unlike any other cell type tested, would support regeneration. And to our surprise, they did,” senior study author Mark Tuszynski, MD, PhD, said in the press release. For the study, the researchers used rat and human neural progenitor cells, which they grafted into sites of spinal cord injury in the rats. Using chemical signals, they coaxed the cells into forming spinal cord tissue. The stem cells were directed to specifically develop as a spinal cord, and they did so robustly, forming functional synapses that improved forelimb movements in the rats. While the study was very successful, it is still far from being applicable to humans. First of all, long-term effects and effectiveness still have to be tested in the rats. To that end, whether the regeneration is completely successful and safe in the rats remain to be seen. Also, even if the study is completely successful, larger scale animal testing still has to be performed before contemplating human trials.